CLIENT : PT. 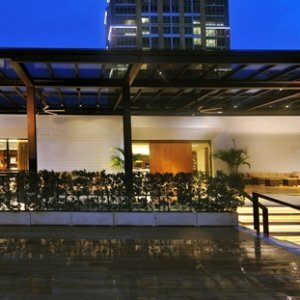 Plaza Indonesia Realty Tbk. 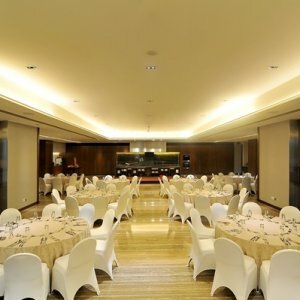 The Residence OnFive is a distinct multi function facility which can be used for corporate events, weddings, cocktail parties, and etc. 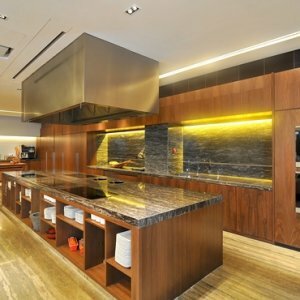 Located on the fifth floor of the Grand Hyatt Jakarta, the 2,007-square-metre facility is equipped with six meeting rooms, three outdoor terraces, an open kitchen, and a prefunction space. For this project, Harjaguna was in charge of the architectural and interior finishes of the facility. This project also offered a unique opportunity for the project team to work with new building materials such as, QPanel and Conwood.